The No White Diet is an easy way to eliminate high glycemic foods from the menu. It doesn’t require counting calories or carbs. It’s as simple as recognizing whether or not you can eat something based on its color. However, even though the name of this diet suggests “no” white foods, there are a few exceptions to the rule. Many popular diets have implemented the no white foods concept, and gradually people have adapted it to help them eliminate high glycemic foods that lead to weight gain. The No White Diet by author Paul Array structures an entire diet around the concept. His book equips people to understand what it takes to eliminate these foods from the diet. He teaches dieters to read food labels and how to shop for groceries. His book explains how and why the diet works to eliminate hunger, cravings and to not only lose weight but to keep it off. This diet, like many before it, claims to be a lifestyle change instead of just another diet. Paul Array is not a doctor, but a layman with much diet practice. His goal was to create a diet that not only works, but is easy to follow. The No White Diet doesn’t require portion control, counting calories, carbs, or fat grams, or the buying of packaged foods or special products. Eliminating white foods from the diet is as simple as black and white and doing so helps get rid of empty calories from high glycemic foods. This helps people lose weight for more than one reason. The insulin response brought about by such foods as white sugar and flour can trigger cravings for more carbohydrates and the resulting sugar is converted to fat for storage. This leads to weight gain. Removing these foods from the diet helps bring about weight loss as the result of eating fewer calories because it not only works to eliminate cravings, but the foods eaten satisfy for longer. Other foods that need to be limited include solid fats that would be white if it were not for food coloring. This includes butter and cheeses such as cheddar. To make this diet work, Paul Array teaches his readers how to read labels and how to cook by replacing white foods with colorful alternatives. While the premise is easy to follow, actually giving up all foods that contain white flour, sugar and salt can be harder than some dieters expect. 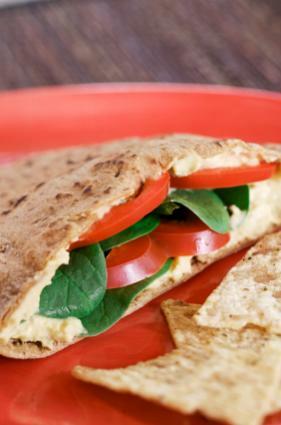 However, for those who are dedicated to losing weight, and willing to make the necessary lifestyle changes, this diet is as easy as changing out your white flour pocket pita with a whole-grain variety. Another thing to consider is portion size. While Paul Array does not require a limit on portion sizes, this approach may not work for everyone who wants to lose weight. Before you start this or any diet, talk with your doctor. He will most likely applaud the idea behind the No White Diet, but he may also have other guidelines to offer to help you reach good health and your ideal weight.